I’ve now seen Kirby with realistic human feet and I feel like maybe the Internet was a mistake. Illustrator Marie Blue posted this comic to Twitter on March 17th, and the response was intense, to say the least. While it only took to a fever pitch yesterday, this image is now lodged in our collective unconscious. In this comic, Kirby, the round, marshmallow-y video game character, has taken off his shoes to reveal realistic human feet. I will be frank: this terrifies me. This gets me almost as bad as the MLB: The Show 17 glitch where that one dude looks like he was made of logs. The very idea of Kirby with human feet has now lodged itself in my brain. I can’t let go o f the idea that those red things aren’t his shoes, and must be his feet instead. As I sat at my desk, Googling “Kirby feet,” I came across this conversation from an IGN message board in 2006. This isn’t the first time people have wondered about Kirby’s anatomy, and it wasn’t the last. This has been a notion that’s flared up on the Internet from time to time, taking the form of Yahoo Answers posts and weird DevaintArt submissions. 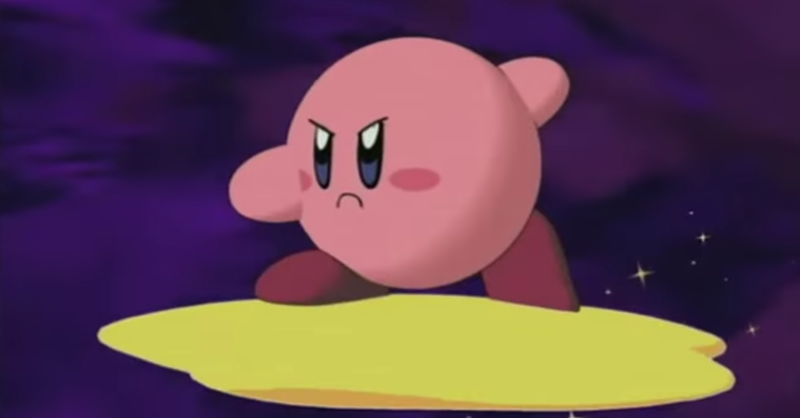 If I’m going to be haunted by an image of Kirby with human feet, at least I’m not alone. In the face of Marie’s comic, some people responded to this fanart with fanart of their own. Artist Lindingle had apparently jumped on the “Kirby with human feet and legs” train, and has art of this abomination available for sale on her RedBubble. Others, however, reacted in sheer terror. As for me, I’m unplugging my router. Goodbye, Internet. You were a fun experiment, but I now I definitely need a detox.